How was everyone's past week? I hope it was kind to you. I had a rather interesting week. It was mostly scary to me. But, you can be the judge of that. So, every few months I google myself (my pen name Murees Dupé), just to see what pops up and to make sure there's no strange sites popping up. Last year I found a site posting my blog posts on their site without my permission. Luckily they took it all down, after I contacted them. Anyway, moving on. I also check that all my links and listings on the various publishing platforms, (that my book is listed on) is working and that the info is accurate. When I got to Amazon however, I noticed another listing for my book. It used my old cover, the green one, and the name of the person listing new and used books had a variation of my pen name. Also, their publication date was 1659, or something similar like that. Strange right? Of course I jumped to the worst case scenario. I panicked and my mind went racing. I wanted to know why this was happening to me. My book wasn't popular. It wasn't selling. So why me and my book? Luckily for me, I had just read a post on The Creative Penn about How to Protect your Creative Work with Kathryn Goldman. I highly advise anyone posting their content online to read it. It is brilliant. So, I contacted Amazon about the strange listing. I first wanted to make sure what was going on, and whether the person was allowed to do that. It was kind of a pain to find the proper people to contact. It took me a while to get to the right department, but the representative was very nice and explained that anyone is entitled to sell anything on Amazon. But what happened in my case is that the person in question, was reselling (New) paperback copies of my book on Amazon for a lot more than it is listed for on Amazon. They couldn't do much aside for merge that listing with mine, so if anyone was looking for my book, that they would only see my listing. I was a little upset about that. But, I immediately filed my copyright with the U.S Copyright Office, even though I'm South African. Thanks to the Berne Convention, if your book is available in the U.S. you can file there. And you're covered in any country that signed the Berne Convention. You pay a once off fee (in my case $ 55) and you're covered. No renewing or any of that. I provided them with a digital copy of my book. I didn't want to take any chances, especially in the future. You get a certificate stating that you're the copyright owner (it takes a few long months though), so if you ever get in some kind of legal dispute (heaven forbid), you have a foot to stand on. I wouldn't have known any of this if I wasn't following stalking The Creative Penn Blog. These days whenever there's a post available I'm there. If I hadn't read the above mentioned post I would have freaked out and gone crazy. But having read it, it made me take a step back and think of how I can approach this madness logically. I was never the kind of person who thought I should bother with the registration of my copyright, but these days I think about it differently. Especially since I'm popular with finding myself and my book in the strangest situations, and a favorite target of online predators. So, has anything like this happened to any of you? Do you have a scary story to tell? I don’t know about you, but I find that life is hard enough. So, if possible, I prefer other aspects of my life to be as easy as possible. Lately I’ve been decluttering my life. This includes my online activities. If I feel overwhelmed, it makes me anxious, which then leads to me having a depression episode. So, I have to keep things as stress-free as possible. - There are also tons of apps promising to help you organize your work and life. Well, all the sites recommended Evernote. I tried it. I wanted to pull my hair out. At the end of last year I discovered OneNote on my computer. (Yes, I had it on my computer, as it came free with my operating system). I tried it and found it easy to work with. It suited me perfectly as I could still use all the info offline. But all the techie sites promised Evernote is the better way to go. So, I abandoned OneNote for Evernote. Regretted it almost immediately. So, for me, OneNote is awesome. I have a folder that contains pictures that inspire certain scenes in my book. Yep, I use Pinterest too, but when I’m writing, I don’t want to keep going on the internet, so I just open OneNote and keep it in the background if I need to remind myself what certain places in my novel looks like, I can take a look without being distracted. *Keep in mind, I found above mentioned pictures online, so I don’t have copyrights to them or anything. I don’t use it in any other way than as an inspiration wall (document) for my own personal motivation, not for public use in any way. For my eyes only. So please, don’t use other people’s pictures on your blog or for commercial use without the creator’s permission. - Always be aware of how much you are taking on. Writing, and blogging, paired with keeping my social media current, is already more than I can handle. There was a time when I could’ve juggled three or four things at the same time. That time has come and bounced away like a crazy rabbit. So, it might sound selfish, but these days I’m only focusing on projects that are for me, or my writing. - One thing that I love is attending webinars. It is fun, and sometimes informative. But do you know what? Most of them don’t really offer a whole lot of info. They give you tiny bits of pieces of info, but you never see the bigger picture, as you have to buy a course from them in order to get the info you’ve basically waited 45 minutes for. I like free stuff. Sorry. I guess I’m just cheap like that. So, just be careful which webinars you sign up for. Anything by Joanna Penn, or The Alliance for Independent Authors, and I’m there. I follow both their blogs and newsletters. I’ve attended previous webinars by both, and I know they won’t waste my time. If I ever have info that I think is relevant, or could help someone else, I’ll share it. I like to think of it as adding some positivity to the world. I don’t know about you, but the world can sure do with more positivity. **So having said that, if you’re a writer, there is an online event coming up in March. It’s called the indie Author Fringe. You can sign up to attend for free HERE. I know many of you are traditionally published and you’re probably sick of hearing about all things self-publishing, or Indie. But, many of these online events are relevant for you as well, as it doesn’t matter how we’re published, we all have to deal with marketing, writing and such things. You never know what info you might find useful, no matter what your career path. Do any of you have more tips on how we can declutter our life? Hello Friends. 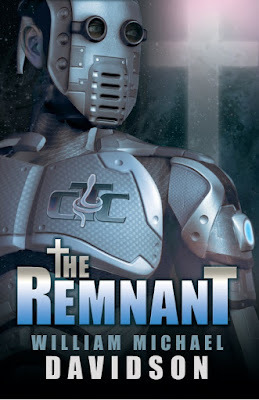 Today I would like to welcome to my blog, William Michael Davidson, who is celebrating his latest release, The Remnant. I recently got the opportunity to ask William a few questions. It’s changed over the years, but as I’ve gotten older and taken on more responsibilities I’ve learned that the best time for me to write is early in the morning. So generally speaking, I wake up at about 5:30 in the morning, brew some coffee, and grind it out for an hour or two. It’s a sacred time for me. I don’t have to be a husband, father, or anything else. I can just sit and lose myself in my imagination before the day begins. One day I was reading online about the idea of people’s belief in God being dependent on a gene. 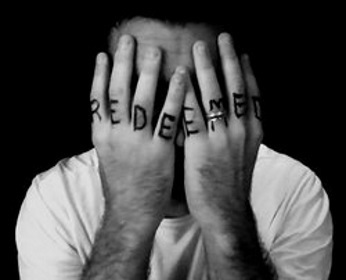 If you look online, this idea of eradicating this gene and controlling people’s theistic beliefs has been around for a little while, but for me it just seemed like a great story. All at once, I knew I had to write a story about this. I don’t personally believe that a person’s belief in God is dependent on a biological feature, but I knew it was a great premise for a story. So I ran with it. Like usual, I had no idea where the story would go. I just followed where the characters led me. I think exercise is my number one thing. I go on long runs and it clears my mind. If something is bothering me with a story I’m writing or something isn’t connecting, a long run along the beach usually helps me to think through it. What do you do for fun when you're not writing? I think I’m different than most writers I know in that I’m an extrovert. I love writing, but I love getting outside and spending time with people. I enjoy getting outside and jogging and stand up paddle boarding, spending time with friends and family, traveling, and getting outside of the house. And reading, of course. It sounds very cliché, but that’s because it’s the truth. I think you have to always be reading something and always have a writing project you are working on. If one of those things isn’t happening, you’re selling yourself short. I write early in the morning and I always do some reading before going to bed. I think you have to be doing both all of the time, almost every day if you’re going to improve in your craft. 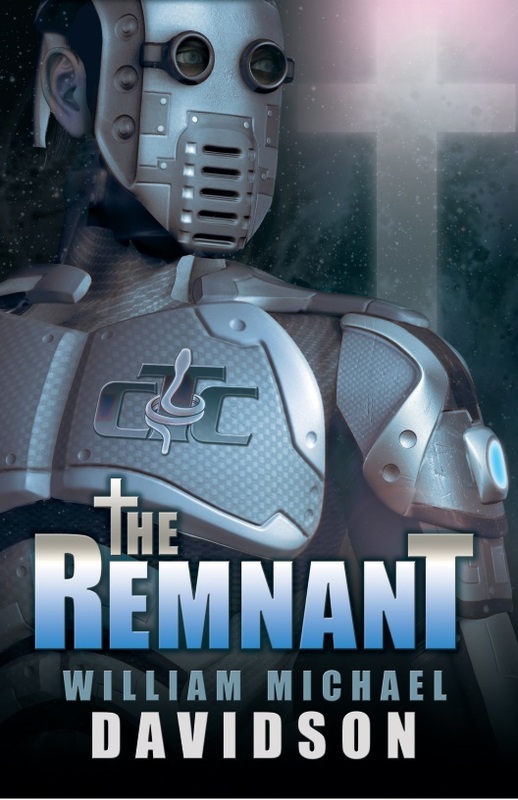 Be sure to add THE REMNANT to your bookshelf on Goodreads. William Michael Davidson lives in Long Beach, California with his wife and two daughters. A believer that "good living produces good writing," Davidson writes early in the morning so he can get outside, exercise, spend time with people, and experience as much as possible. A writer of speculative fiction, he enjoys stories that deal with humanity's inherent need for redemption. This is a tour-wide giveaway for two (2) print copies that are available to those living in the U.S. only and one (1) eBook copy available international. The giveaway will end at 12 a.m. (EST) on Sunday, Feb. 26. You can enter to win at each stop of the tour. Thanks for stopping by today. Be sure to visit the other blogs on the tour for more chances to win. The schedule is located HERE.